As they celebrate 15 years as a performing and recording entity, Greg and Damian prepare for the release of their third album Sofia’s Dream and a string of dates along the East Coast of Australia with a new line-up that includes Byron Mark (cajon and percussion) and dancer Chachy Peñalver, founder and director of Sydney Flamenco School. The group’s first CD snared them the Best World Music Artist at the MusicOz Awards. And performances at WOMADAdelaide, Sydney Festival, Apollo Bay Music Festival, Sydney Opera House, International Australian Festival of Chamber, followed. The second CD Absolución, was launched at the Sydney Opera House in 2011 to a sell out audience and also enjoyed rave reviews. 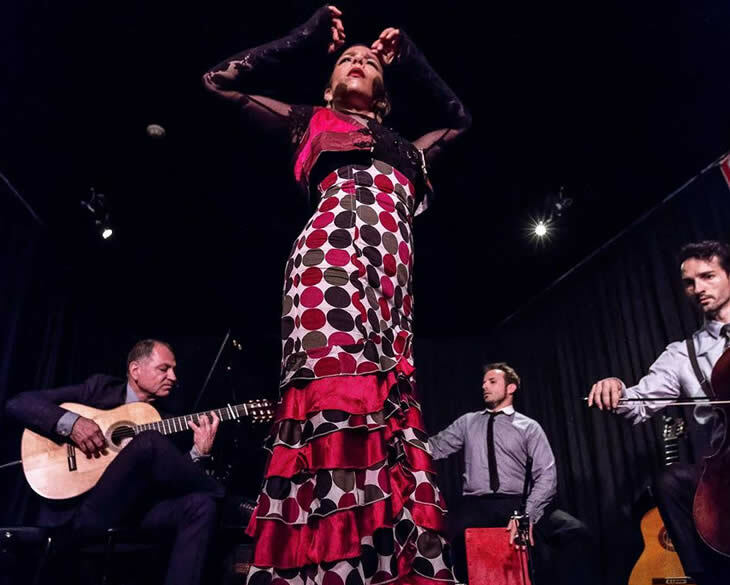 Presented by Arrebato Ensemble – Flamenco with edge.